► How does new one compare? Sunday evening, summer 1968, Normandy. The sultry heat of the day is finally fading, the cooler evening air perfumed with the scent of fields all around. The road is still warm to the touch, heat radiating into the cloudless sky. There is no noise but for the breeze through the long grass. Then, from the south, a rising engine note. 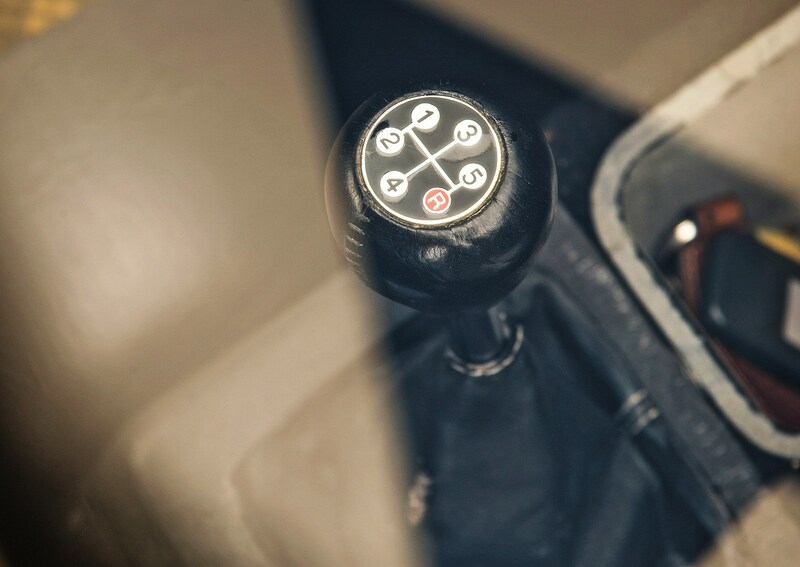 High revs and swift gear-changes betray someone in a hurry, the driver’s foot-to-the-floor commitment punctuated only by blink-of-an-eye upshifts, clean and quick. Long after it first made itself heard, the little mustard-yellow sports car crests the rise in the road, hurtles past and arcs into the fast right-hander that’ll take it out of sight and on to Dieppe, the revs dipping as the driver slots fifth, checks his watch and smiles: it’s a good run. 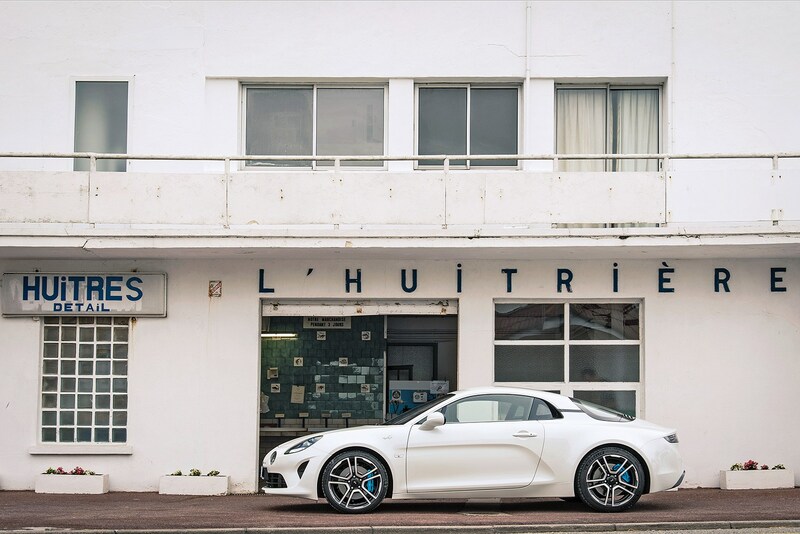 In half an hour, when the Alpine A110 noses into the port town, Jean-Pierre Limondin will know for sure whether he’s bagged a personal best. Regardless, the rush of his Sunday drive will carry him through another working week at Alpine, the small French car company already being mentioned in the same breath as Porsche. Limondin started at Alpine in 1963 (the company was born 6 July 1955), drawn by the reputation of its founder, Jean Rédélé, who sold Renaults from his Dieppe dealership when he wasn’t piloting modified 4CVs in 1000-mile road rallies, fuelled by talent, adrenaline and ambition. The Alpine-Gordini M63 was Alpine’s first purpose-built race car, based on the production A110, and it’s the A110 Berlinette you picture when you hear the word ‘Alpine’. 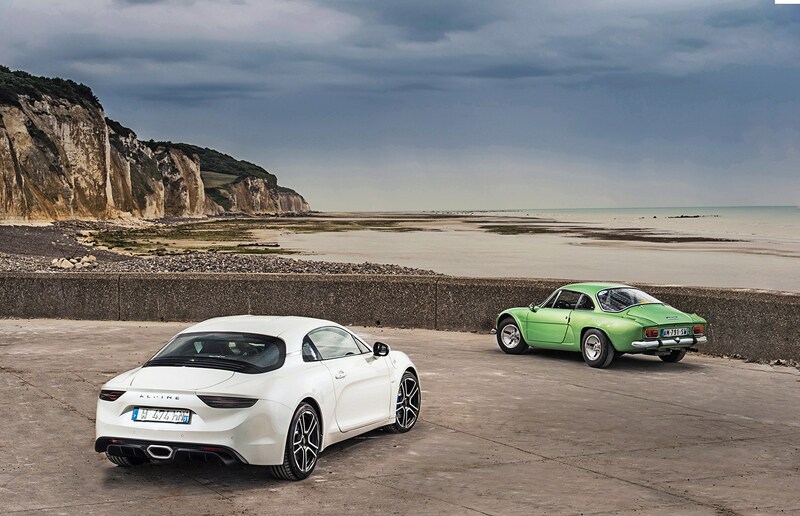 (Unless you’re a ’70s sports car racing deviant, in which case you might picture the insanely proportioned Alpine A442, with its 500bhp turbo V6…) A thorough evolution of the A108, the A110 is the impossibly pretty, Michelotti-designed coupe with Renault mechanicals under its fibreglass skirt that stars in a thousand evocative ’60s and ’70s rallying photos, its slight silhouette arrowing down everything from Corsican tarmac to snow-bound Alpine tracks, Cibie lamps blazing on its perfect little nose. 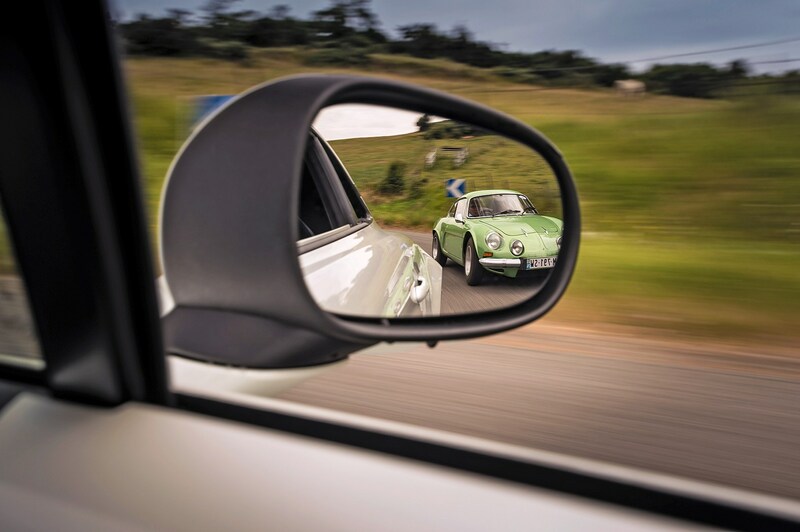 Presented at the ’62 Paris show, the A110 would evolve into a fine road, race and rally tool, gaining road-test praise, class victories in big-name endurance racing events like the Sebring 12 Hours in 1966 and overall victory on the Monte in ’71. 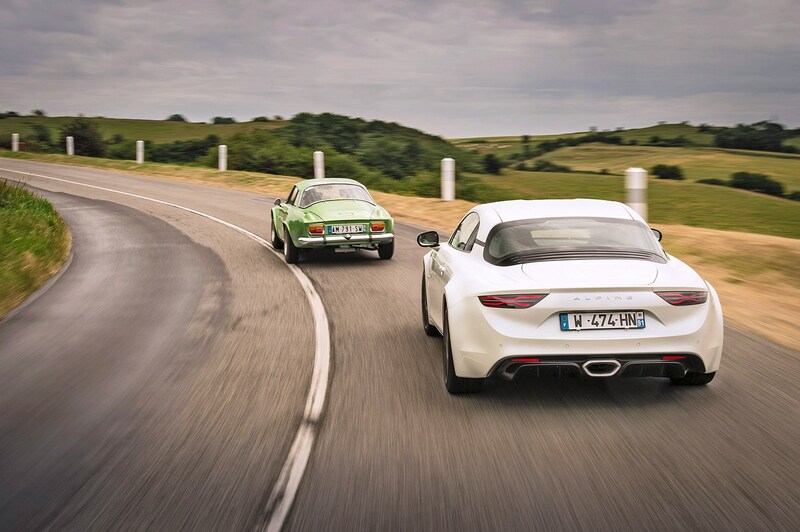 Today I’m in the passenger seat of another classic A110, the green one Limondin now owns. Finished on 28 July 1977, Limondin’s was the last Alpine built before the factory closed down that same year. Workers tucked a broom in its rear bumper, a poignant reference to the sweeper truck that follows the Tour de France cycle race and marks its passing. He fits inside the car as the stone sits inside an avocado. 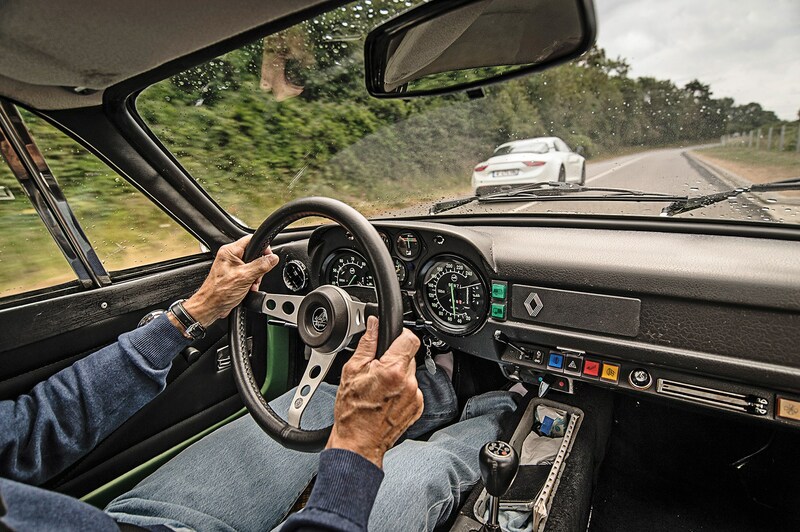 The A110 is cramped like a Caterham Seven but Limondin looks perfectly comfortable; arms in a relaxed bend to the three-spoke wheel, legs positioned horizontally to the tiny, closely set pedals, which his feet, in white socks and loafers, work with practised dexterity. I’m still breathing in the old-car smell and absorbing the Alpine’s gorgeous detailing when we surge out of town and into a cascading series of bends. The grey tarmac is greasy with the first rain for a fortnight but Limondin isn’t fazed, barely braking as he tucks the A110’s nose into the first corner, trusting that it’ll grip. I hold my breath but needn’t worry, the car rolling a little before running through with as much corner speed as Limondin dares to throw at the aged Michelins. Limondin talks as he drives. 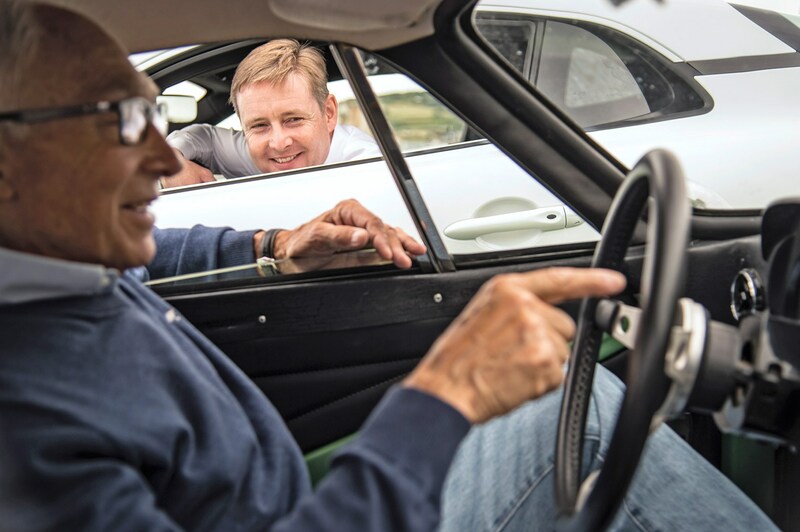 ‘I’d been in touch with the owner of this car, trying to get him to bring it to the first meeting of the Alpine old boys’ club in 2011 but he couldn’t make it.’ Guns the car in third, slots fourth. ‘I tried again two years later with the same result. The car was well looked after, protected in a garage, and the original engine was with it – he’d run the car with a competition engine. He told me the car was special to him and that he didn’t want to sell. 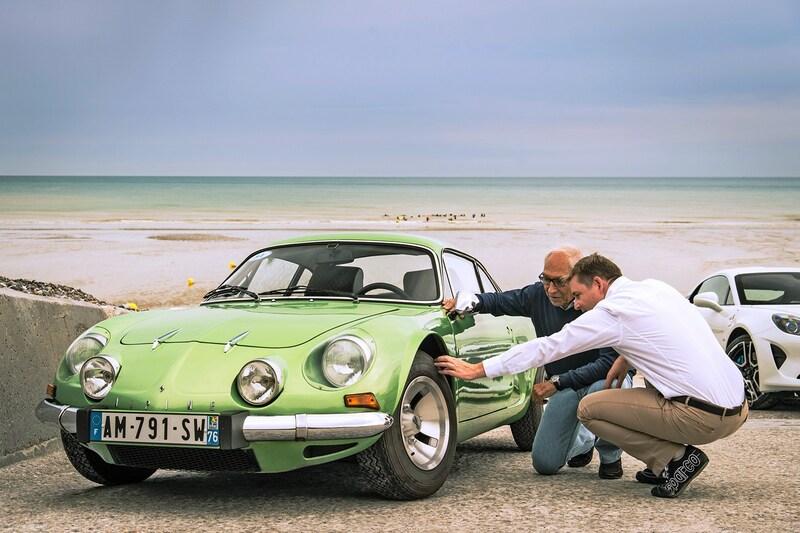 He’d had offers, including several from Japan, but had turned them down, saying that the A110 would be ready for the museum should Renault ever want to buy it.’ Back to third for a corkscrewing uphill right. 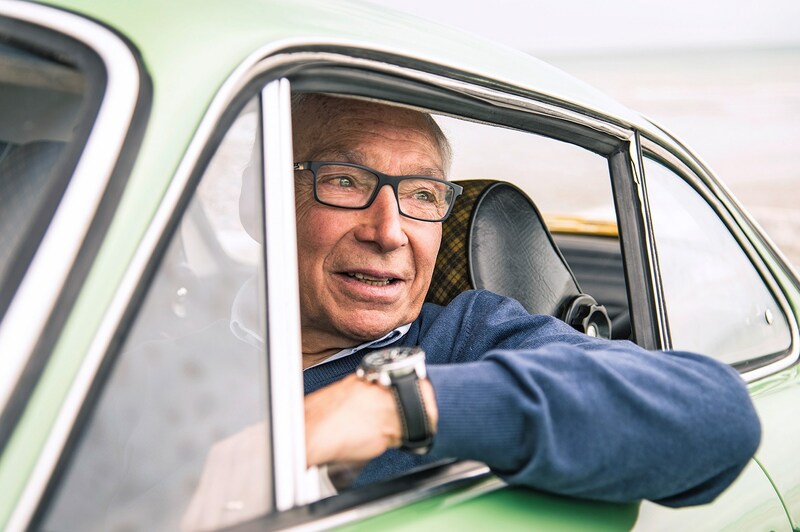 ‘Then I suggested I might like to buy it and he was happy – for him the important thing was always that the car stayed with the story.’ Heel-and-toe shifts down to second for a tight mini roundabout before pulling up by the sea wall and, waiting for us, Alpine’s next chapter. 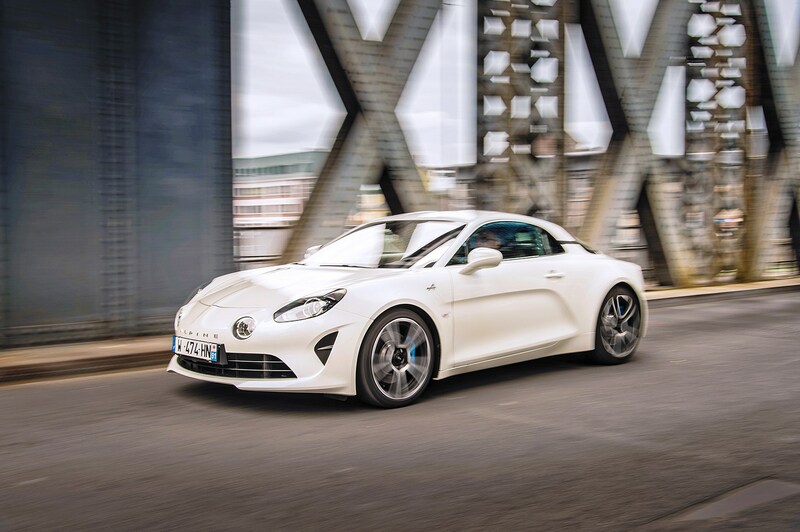 Unveiled in concept form at the 2016 Geneva motor show and due for first left-hand-drive deliveries at the end of this year, the new Alpine A110 is a car you can’t help but take time to look over. The detailing begs closer inspection, and you’ll almost certainly have questions. Chief engineer David Twohig knows the answer. In 2013 Twohig had a call from Alpine. ‘It was a case of, “I’ll take it – what’s the job?” I’d heard about the project and I wanted to be a part of it. [Carlos] Tavares left [for Citroën] in late 2013 and the Caterham divorce came in 2014 [Renault originally wanted to share Alpine development with Caterham]. It was up to Ghosn to make the decision to crack on and fortunately he did. Half the team left in a single day and I had to replace them. The fundamentals had been established, the hard points, but there was nothing between the mechanical package and the exterior form. 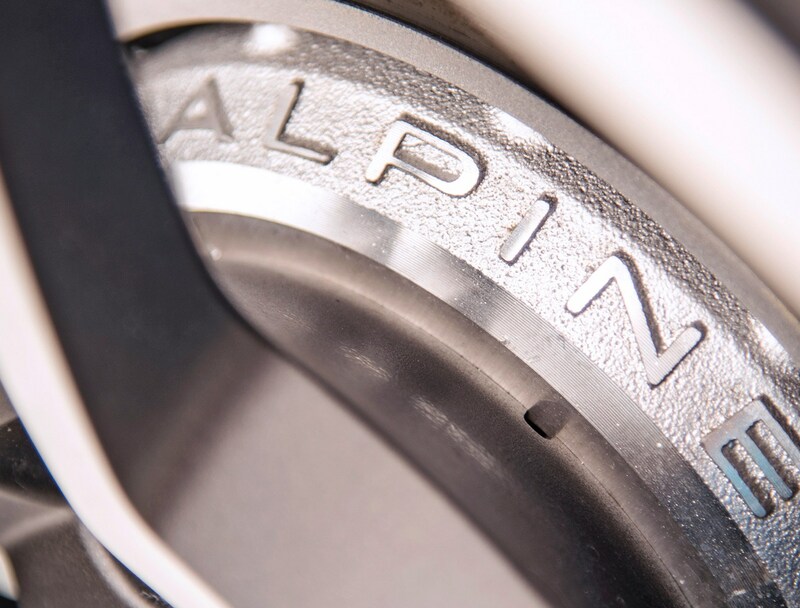 Twohig is well qualified to lead Alpine’s renaissance. Any engineer would be happy with the Zoe and Qashqai on their CV, and Twohig has the required car-guy passion too. His daily drive’s a Clio RS Trophy, his weekend toy an old 911, an SC. ‘It took me three years to find what I thought was a rust-free SC, in Italy, and I had the engine rebuilt by a guy in Paris. It’s a mild tune, more a blueprint, but the car only weighs 940kg. The rising popularity of classics is a reflection of the way new cars are going I think; it’s people wanting to get back to steering feel, light weight and simplicity. 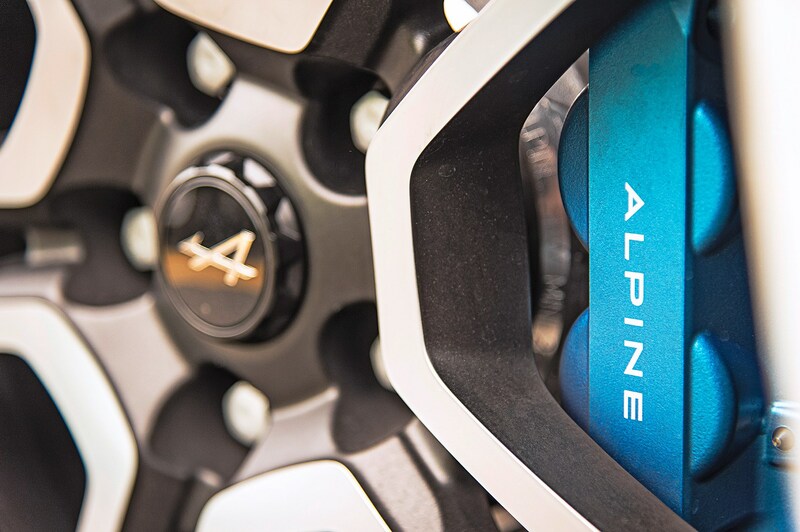 A commitment to low weight has informed the Alpine project from the get-go, as Twohig explains. The tub is aluminium, bonded and riveted. The fuel tank sits just behind the front axle. 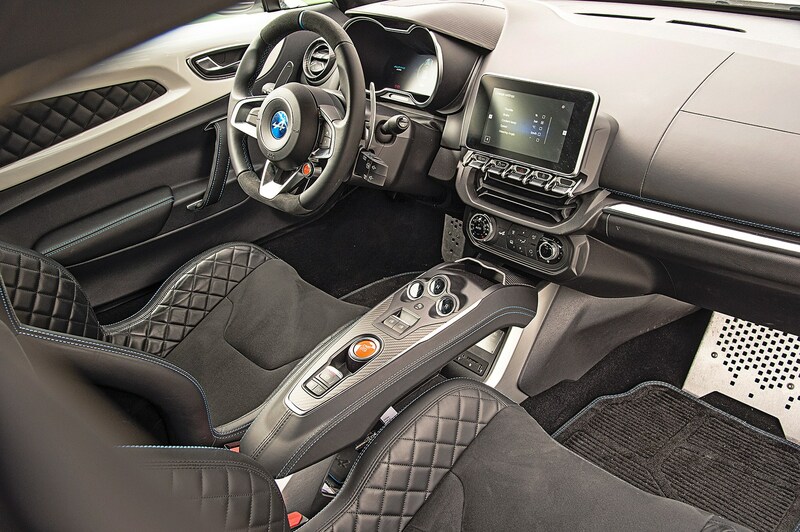 The engine, a 1.8-litre turbocharged four running bespoke Alpine intake, exhaust and control systems, sits across the car just ahead of the rear axle, driving the rear wheels via a seven-speed Getrag twin-clutch gearbox. 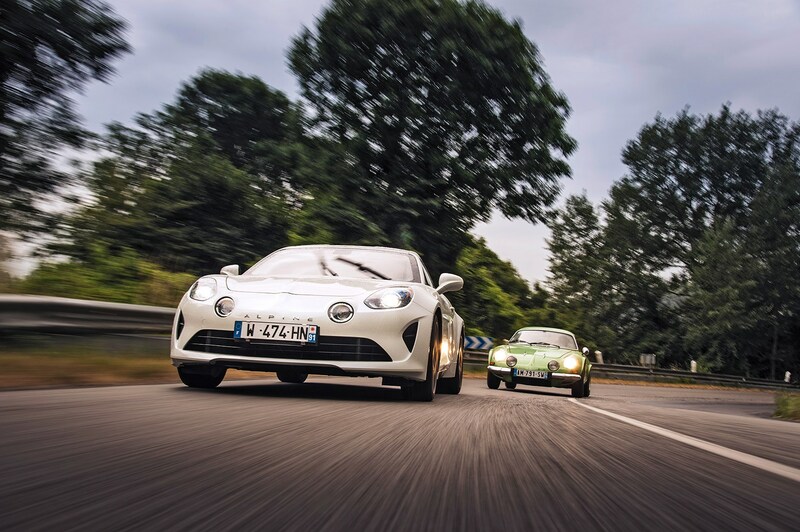 The double-wishbone suspension in forged alloy is the stuff of dreams, and Twohig’s eyes light up as he pulls out his laptop and shows us graphs of how the A110’s camber and toe vary with stroke. ‘Sorry, I’m really geeky about this stuff. Both are linear, that’s the key,’ Twohig says. ‘When you go into a corner you feel that the front outside tyre will never let you down. 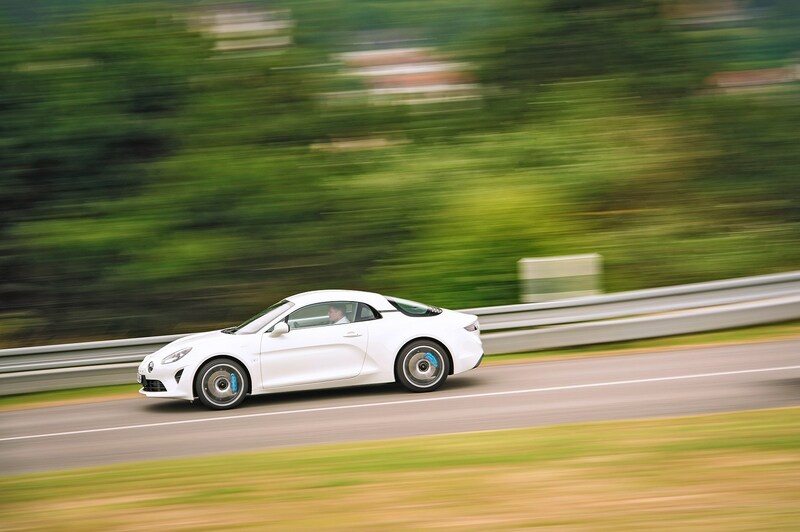 The faster you go, it feels like the harder the car is pushing the tyre into the road – and it is. We can precisely compensate for the roll with a couple of degrees of camber, to keep the tyre flush to the road. Limondin’s settled into its passenger seat before Twohig’s finished asking him if he’d like a ride in the new car. 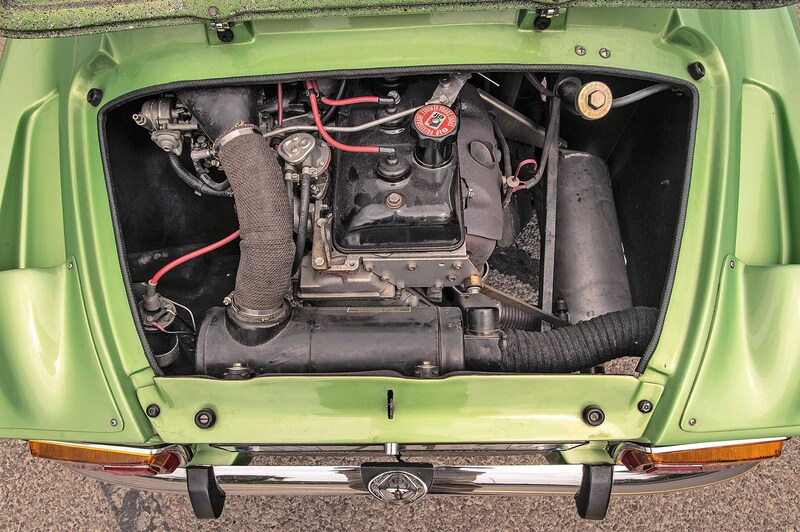 ‘My first feeling is positive: I like the cockpit’s reference to the classic layout,’ he tells me as Twohig prods the engine into life, the four cylinders burbling through the centre-exit exhaust. They head off up the road with purpose, the engine’s midrange bwaarp overlaid with a little turbo whoosh and whistle as Twohig works the little car hard. They’re gone 15 minutes. When they return the A110 smells hot. 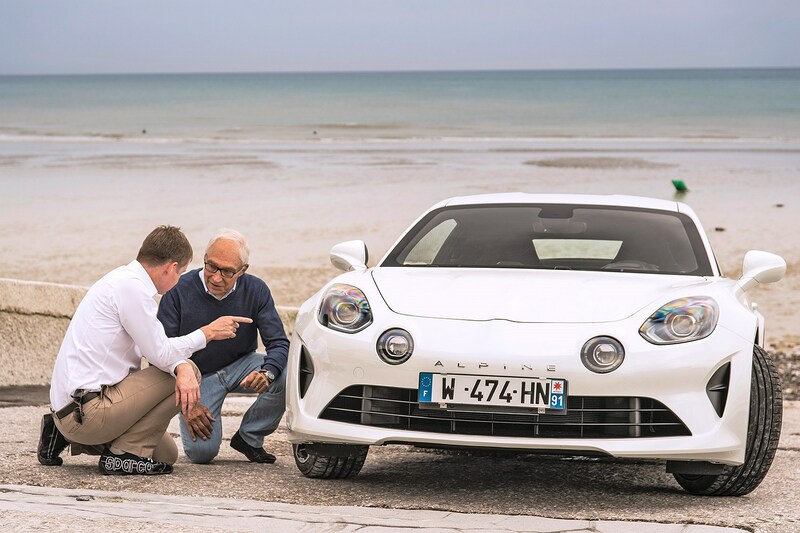 The car’s official launch isn’t until the end of the year, but like the rest of the world Jean-Pierre Limondin is itching to get behind the wheel of the new A110 now. And he’s no doubt planning another crack at his Paris-to-Dieppe personal best.